The co-funded deal has seen investment by local residents, Openreach, Britain’s digital network business and the UK Government’s Better Broadband Subsidy Scheme, which was established to provide access to a subsidised broadband installation to homes and businesses in England and Scotland, that don’t have access to broadband speeds of at least 2Mbps. The deal is expected to see the first residents get the high-speed service in March next year. Fibre-to-the-Cabinet (FTTC) technology will make broadband speeds of more than 24Mbps available from a wide range of broadband service providers. As part of the community fibre partnership scheme, local infant school, St Mary’s C of E, is also eligible for a £6,900 grant. Jean Thompson, resident, said “The need for superfast broadband is paramount to support the increasing demands of the residents, its primary school, the village hall and many local businesses. 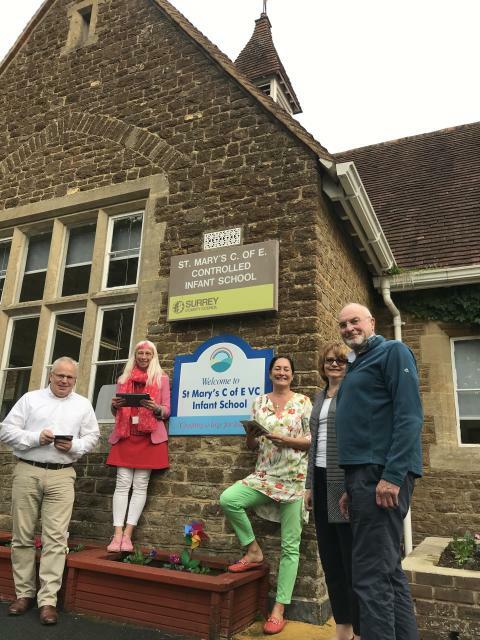 Funding was raised by a combination of contributions from the village hall and each household and match funding by Openreach through their schools funding program. Steve Haines, managing director of next generation access for Openreach, said: “It is great to be able to work with proactive communities like those in Norney and Shacklefordto find a fibre broadband solution. We are working on hundreds of similar community fibre partnership programmes across the UK, which are bringing faster internet access to areas not covered by any private or public funded fibre broadband rollout plans. Openreach is committed to making fibre broadband as widely available as possible.